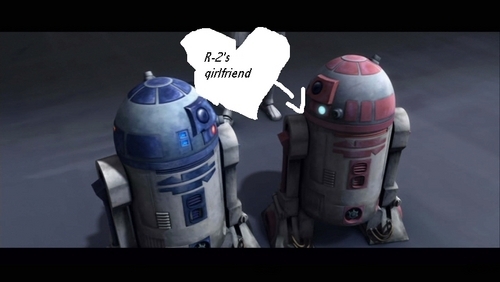 R-2-D-2 and his girlfriend. This is jjust a picture from the movie that I got and edited, it's really just a cute joke.. HD Wallpaper and background images in the ster Wars: Clone Wars club. This ster Wars: Clone Wars fan art might contain vacuüm, stofzuiger, stofzuiger, and hoover.